People and nations keep relics, and these relics connect us to our own lives, our family’s experiences, and our nation’s history. These connections help form, in Lincoln’s words, the “mystic chords of union” which tie us together. Father’s Day is the day we get to show Dad how much he means to us. The day hadn’t been proclaimed officially during World War II, but it became popular nationwide as a day to celebrate and show support for so many fathers serving in the war effort. America is a strong nation founded upon the principles of liberty and freedom. 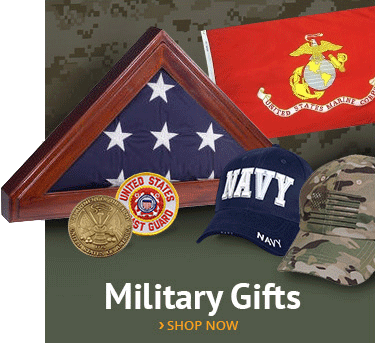 Naturally, Americans exhibit the same fundamental spirit of patriotism that this great nation was founded upon, whether it’s demonstrated through the actions of brave men and women who fight every day for our freedom overseas, or by simple gestures and actions that show support for our country at home. 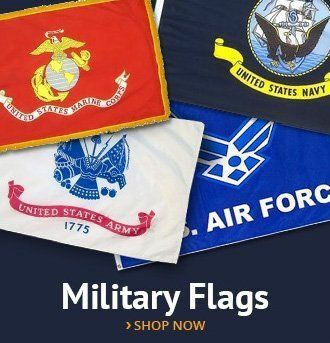 This can be as simple as dressing up your boat or yacht with boat flags on Memorial Day and proudly waving the American flag. 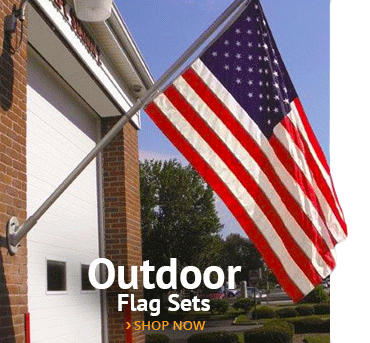 In support for the love of country, there are a lot of ways citizens can show their patriotism, and in the United States of America, this is usually branded with the colors red, white, and blue. In the water, it isn’t easy to overlook. Boats of all kinds can show a true sense of American patriotism, whether they’re civilian speedsters driven by fellow Americans on the 4th of July or aircraft carriers decked with fighter jets and a stream of colored smoke flying overhead, all done in the most radical bids to show off the creative showcase of the American spirit. Our historic American warships have played pivotal roles in shaping world history and, at the same time, serve as the largest patriotic boats out there. Even yachts decked out in all things red, white and blue that are owned by those who dared to dream the American dream, like nautical enthusiast and yacht owner Ralph Lauren, take part in this list of patriotic boats and yachts. From sea to shining sea—and in every waterway and lake in between—boats have played a major role in instilling patriotism and pride in America. To start off, we’ve listed a few spirited and imaginative civilian boats designed and decorated by fellow Americans. Then, we progress to key ships and vessels that played important roles in defending America and keeping the red, white and blue flying high above the oceans of the world, spirited, alive, and thriving. Even if it’s a small nautical flag tied to the back of a sailboat, the same spirit makes the U.S. one of the greatest seafaring nations in the world. All aboard! Nothing says freedom and patriotism more than a beautifully shaped American flag as a boat’s sail, drifting under a clear blue sky. This simple yet impressive display of patriotism has an understated kind of quality to it. Even if it’s just a gentle glide on a lake in Minnesota, or you’re sailing to a far-off island in the Florida Keys, this boat will get you there in great style. 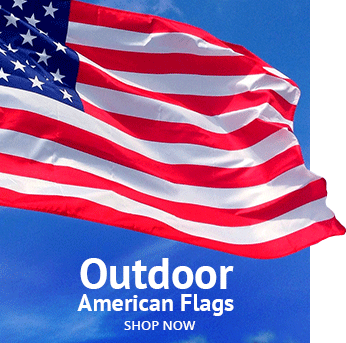 The Star-Spangled-Banner-shaped sail is perfect to show fellow patriots you’re proud to be American, all the while looking quite good doing it! All you need now is a sailboat. If that one big all-encompassing flag isn’t the route you want to take, some people tend to go for quantity instead. Maybe that big American flag sail didn’t arrive in time for Memorial Day weekend, but that’s no cause for concern. Decorating a boat with the necessary maritime flag can go as far as adorning the entire ship in the Star-Spangled Banner. You can often see boat homes decorated in this way along Elliot Bay in Seattle on the 4th of July. This patriot in this image has decked out his boat with Star-Spangled Banners all along the sides and bow, but the real pièce de résistance lies in the beautiful crisp flags being flown above his head. In what can only be described as a proud display of the true patriot spirit, the colors red, white, and blue fly proudly and high. When flying the American flag high and proud on your boat this summer, or perhaps when showing off at the lake, never rule out balloons (in red, white, and blue, of course.) Although it may be a simple idea, it was one that showcased love of country in a festive and unabated way. Sure, we’re used to them at birthday parties, but this group used them in a fun and simple way accompanied with classic American flags, ribbons, and Uncle-Sam-themed hats. 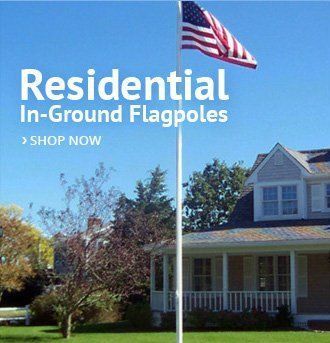 While some opt for the classic-looking American flag to showcase their national pride, others tend to go for a showier display. This group happened to deck out their boat with flashing Christmas lights in red, white, blue, LED stars, and a neon sign brandishing the letters, U.S.A. While not the classic way most boats and yachts are decorated to show their patriotism, this lot definitely takes a creative, bright, and imaginative approach! If patriotism is measured in showmanship, no one can honestly doubt their commitment! American Flag dinner serviettes, red, white, and blue-colored utensils and straws, Star-Spangled buckets for beer and refreshments, and a classic bottle of coke, all the while sitting on a beautiful yacht on a clear summer day. What can get more American than that? While not the most outlandish of decorations, as we’ve seen above, this understated and elegant America-themed-everything boat is one of the most patriotic displays we’ve seen yet. There are clearly a lot of ways you can show U.S. support, some like flashy antics, some prefer a more traditional approach to show off their individual sense of patriotism, while some like flying crisp American flags from the bow of their boats or front porches at home. Everyone knows that, with patriotism, as with America, more is more! This family decided to paint their entire dock as an American flag to celebrate their love of country. To add a little sophistication to our patriotic American sea-faring vessels, Ralph Lauren has reserved a special place for his American iconography in his nautical designs. For him, the spirit of the sea evokes the spirit of America, both of which he uses to define his advertisements and overall style. Imagine a yacht decked in all things Ralph Lauren. From the furniture, to the bedding, to the hand towels. The Lauren Yacht is decorated almost entirely in Ralph’s signature color, ocean blue. The paintings are all decorated with images of the sea, taken by Ralph himself, and they are displayed in gilded frames. Such is the appeal and allure for this American designer’s sense of the ocean, and, for a special price, Ralph Lauren’s home line has a special division dedicated entirely to interior yacht design. The Patriot or the Patriot Jet Boat, is a craft made for speed, and what more can be said? The name clearly speaks for itself. This isn’t your average tourist tug boat on July 4th weekend; it packs two turbo-charged engines which bolster an impressive 1,400 horsepower. Meant for speed, The Patriot is also entirely decorated with the American flag, with red and white stripes undulating along the sides of the bow, making it seem like the flag is flowing alongside the water, while the beautiful blues and five-point stars decorate the stern in a way that screams speed and America! If you’re ever in the San Diego area and want a tour of the bay while paying tribute to this great country, don’t pass up an opportunity to ride this speedy vixen, adorned with crimson red seats. It’s the perfect combination of boat, Americanism, and speed. Just be prepared for the ride of a lifetime! What can be more patriotic than a yacht named America? It’s not exactly a warship used to defeat the Japanese or an American vessel that was employed to help defeat the British or French (as we will see on our list), but its American identity lies within its spirit of victory and innovation. This pioneering schooner was designed by James Rich Steers and George Steers in the 1800s and was the first boat to win the coveted America’s Cup International Sailing Trophy. Its sleek design, speed, versatility, and ingenuity are all key principles that America was built upon—principles that eternally drive the country and the people to this day. The USS Missouri, or, as the vessel is called by the men at the helm, “Big Mo” or “Mighty Mo,” is best remembered as an icon of the end of the Second World War. She was the ship which served as the state office to mark the end of World War II. This battleship acted as the stage between the American forces and the surrendered representatives of the Japanese Imperial Navy, to end World War II. Besides being the backdrop for the signing and unconditional surrender of the Japanese, “Big Mo” had her fair share of action. Her active history includes participating in two battles just off the southern coast of Okinawa and Iwo Jima and, later, fighting in the Korean War in the early 50s. She was the vessel that aided in the shooting down of Japanese military planes during her Okinawa campaign while acting as a bastion of resistance to slow down oncoming attackers. One thing became clear as the Pacific Theatre progressed—the USS Missouri was no pushover. During the surrender ceremony in which the Japanese attended, a crisp, bright, 31-starred American flag sat high in the rafters above, watching the historic moment to end the greatest war known to date. Although originally decommissioned in 1955, she was reactivated and modernized in 1984. After her long life and active service, the USS Missouri was decommissioned once and for all, on March 31st, 1995. She now rests in a museum in Pearl Harbor. Everyone is familiar with the USS Enterprise, although few know that the vessel we are familiar with is its seventh incarnation (as it was the seventh vessel to bear the same name). The USS Enterprise made its name in the naval history books during World War II. Earning twenty battle stars and fighting in almost every major battle in the Pacific Theatre, “The Big E,” as she came to be known for short, was present during the attack on Pearl Harbor and was key in fighting back the Japanese Imperial Navy in the Pacific Ocean. She even suffered a massive hit by a kamikaze pilot that took the lives of fourteen sailors, but, just like the true American spirit which she embodies, she never sank. By the end of the World War II, and with the advent of more advanced aircraft carriers, “Big E” became obsolete. Although many sought to preserve her legacy and opted for her to be showcased in a museum or memorial, the funds simply weren’t there. She met her final end on July 1st, 1958 in New York City, as her parts were used for scrap. Her named lived on, though, as her eighth and final incarnation, in the naming of a fictional spaceship many may be familiar with, making the USS Enterprise one for the stars. The USS Constitution ship is one for the records. Named after the Constitution of the United States of America, this ship is considered one of the world’s largest vessels that’s still afloat. The reason this beauty is renown in the US of A is due to her campaign against the United Kingdom in the war of 1812, in which she was responsible for apprehending and sinking dozens of British warships, namely the HMS Guerriere, Java, Pictou, Cyane, and Levant. Besides her more offensive military missions, she was also solely responsible for protecting American merchant ships during the Quasi-War with France. Her efforts were also enlisted to help defeat the Barbary pirates during the First Barbary War. With a large American flag displayed prominently on its stern and another one on the jackstaff (the pole in the bow of the ship which holds a maritime flag), the USS Constitution is a truly awe-inspiring vessel. With unmatched bulk and demeanor, and with equipment to match, the USS Zumwalt is the largest destroyer ever built for the U.S. Navy. Looking like something out of a Star Wars movie, only in water, Zumwalt is the Navy’s most ambitious and offensive destroyer to date. With state of the art weaponry, and a computer-guided missile system able to take out targets more than sixty miles away, it’s safe to say you don’t want to get on the bad side of this lean machine. In true American showmanship and strength, this recently completed destroyer is just another classic example of American exceptionalism—and an issue of warning: Anyone that dares to cross paths with her better tread carefully!